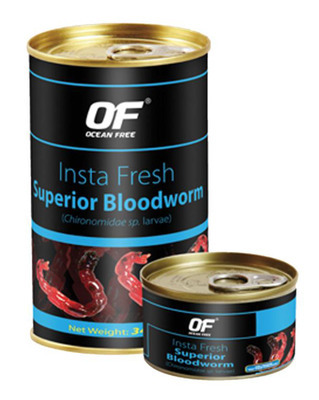 Ocean Free Insta Fresh Superior Bloodworm is a practical substitute to frozen food. Fortified with calcium, minerals and vitamins for better growth. Nutritional value is double that of frozen food. Densely packed to ensure you are not paying for water.